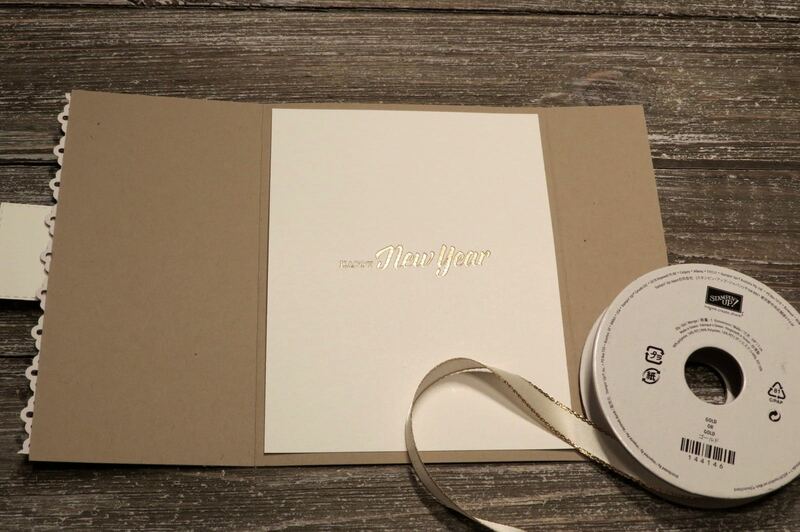 Karina's Kreations: Happy New Year! January 2 is the last day to order from the Holiday Catalog before the items retire forever. One of the retiring items is the Timeless Tidings stamp set and Making Spirits Bright stamp set. 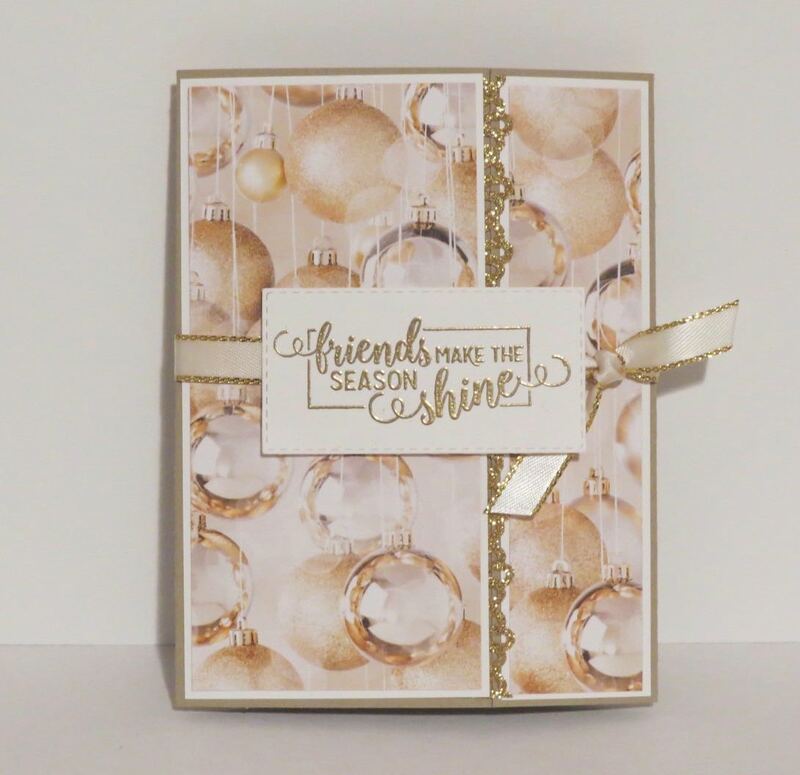 This fun card uses the All is Bright Designer Series Paper and Gold Glimmer paper. TIP: The Stampin'Up Glimmer Papers are special. They are thin enough to use punches and Dies on and the glitter doesn't fall off. I used the Decorative Border Punch on the glimmer paper to add some sparkle to my card. Here's the supply list for this pretty card. Just click on a picture to go to my online store. I added the brand new rectangular framelits to my card. These are available on Jan 3.